Wolverine still stands as one of the most iconic X-Men heroes and fans can’t wait to know will play the legend again. The Disney-Fox merger deal will open doors to Logan to move to MCU. Artist Boss Logic has imagined Daniel Radcliffe in the role. BossLogic posted the concept art on Twitter, giving Radcliffe a superhero makeover. “This one is for everyone that tagged me in this today,” the artist wrote. As you may notice, BossLogic took Radcliffe and gave him an absolute gruff makeover. It sees him donning a white tank top and Radcliffe is seen turned to the side with some facial hair and sideburns. The art also shows him having some scars on his face and his cocked eyebrow makes him look very fierce. BossLogic even paid homage to Harry Potter in the image. One of the scars is in the shape of a lightning bolt. For those curious about the history behind this piece, it has to do with recent reports regarding Wolverine in the MCU. As Disney’s deal with MCU comes to an end, it’s not far that X-Men will get introduced to the MCU. This will see X-Men heroes to get re-cast. Wolverine needs a new actor after Hugh Jackman bid farewell in Logan. Also Read: Batman and Teenage Mutant Ninja Turtles Crossover Film Announced. 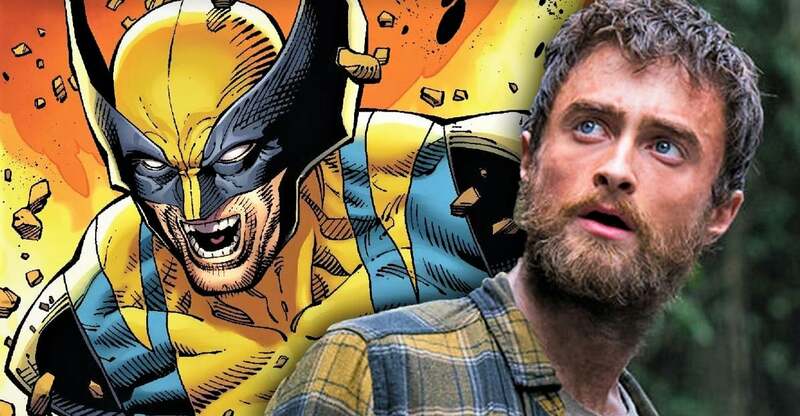 Will Daniel Radcliffe Get to play Wolverine? Will we ever see Daniel Radcliffe as Wolverine? The recent rumours suggest that Radcliffe is being eyed to replace Jackman as Wolverine. Radcliffe discussed playing Wolverine this during an interview with Wired. Also Read: Shazam: Will Superman Appear In The Film? While most Jackman fans will have a tough time seeing Wolverine recast, Hugh has been open to see Logan tackle the MCU. “It’s interesting because for the whole 17 years I kept thinking that [Wolverine joining the Marvel Cinematic Universe] would be so great,” Jackman stressed before in a previous in a previous interview.